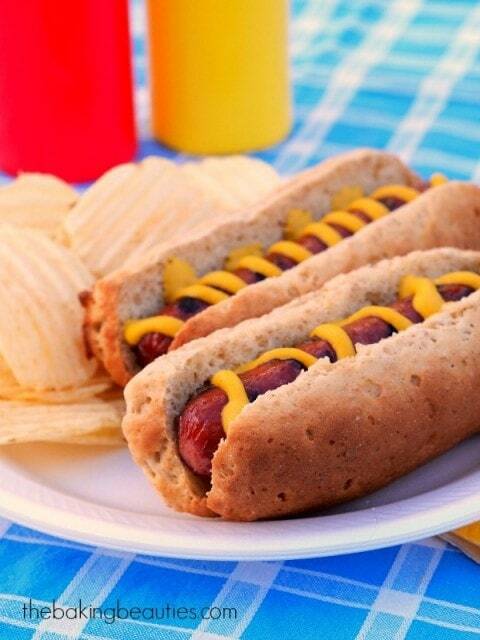 Whether you’re enjoying an evening around the fire roasting some hot dogs, or breaking out the grill to barbecue some hamburgers, these easy homemade Gluten Free Hot Dog or Hamburger Buns will be a welcome addition. Any time it’s not -30 degrees C, my family and I enjoy making the most of the weather. That often involves eating every meal outside, going for walks, and grilling as much as possible. Before being diagnosed with celiac disease, I had never baked my own hot dog or hamburger buns. Why bother? The store carries them, and they are often on sale for $1.99/dozen. After being diagnosed, I often just went “bun-less”, like I know many of you do. Then the stores started to carry gluten free buns that are actually pretty good, but they tend to be quite expensive. Although it was nice to be able to eat my hot dog or burger on a bun again, sometimes just the cost, or the inconvenience, prohibited me from having them. Now that I know how easy it is to make my own hot dog buns, for just a fraction of the cost, I don’t think I’ll ever bother buying them again. These buns are nice and soft, yet they hold up well, even when loaded with toppings. The oat flour used in them gives them a great texture, and helps them to remain soft, even after sitting on the counter for a day. Like all gluten-free baking though, these are best the day they are baked. Since it only takes an hour to make these, including rise and bake time, it’s not a full day commitment to have fresh baked buns to go with your hot dog or hamburger. I need to experiment with freezing this dough before rising – that would give you fresh baked buns (or bun) at any time. I’ll report back once I’ve had a chance to try that. Once you know how easy it is to make your own hot dog and hamburger buns, you'll never buy the ones at the store again. Draw six 5-inch (12.75 cm) long lines, spaced 2-inches (5 cm) apart, on a sheet of parchment paper. Flip the paper over (so the markings are facing down), and place the parchment paper on your baking sheet. Mix together the warm milk, honey, and yeast, and let the mixture sit for at least 5 minutes, or until it begins to get frothy. If your yeast does not get frothy, this may be an indicator that your yeast has expired. If it has expired, toss it and purchase new yeast before proceeding. While the yeast is getting foamy, place the oat flour, potato starch, tapioca starch, milk powder, ground flax seed, xanthan gum, baking powder, and salt in the bowl of a stand mixer. Whisk together until evenly distributed. Stir the oil, eggs, and vinegar into the frothy yeast mixture. With the mixer on low speed, pour the yeast mixture into the dry ingredients. Beat with the paddle attachment on medium speed for 2 minutes. Scrape the dough into a large resealable plastic bag. Cut a 1-1/4-inch (3 cm) opening in one of the corners. Following the lines on the parchment paper, pipe the dough into six hot dog buns. Dip your fingers in water and smooth the dough if necessary. Flatten the dough slightly, to 3/4-inch (1.75 cm) high. If using, sprinkle with sesame seeds now. Let buns rise in a warm, draft free spot for 30 minutes, or until they are nearly touching each other. While the buns are rising, preheat the oven to 375 degree F (190 degree C). Bake risen buns in preheated oven for 15 minutes. Place buns on a wire rack to cool. Once buns are completely cool, store in a resealable bag. Place six 4-inch (10 cm) disposable pie tins on a large baking sheet. Divide the dough evenly between the six pie plates, about 1/2 cup (125 ml) per container. Dip a spoon in water and, using the back of the spoon, smooth the dough evenly over the bottom of the tin. If using, sprinkle with sesame seeds now. Let buns rise in a warm, draft free spot for 30 minutes, or until nearly doubled in size. While the buns are rising, preheat the oven to 425 degree F (220 degree C). Disclosure: I received compensation in exchange for my participation in this campaign. The opinions on this blog are my own. We are a participant in the Amazon Services LLC Associates Program, an affiliate advertising program designed to provide a means for us to earn fees by linking to Amazon.com and affiliated sites. 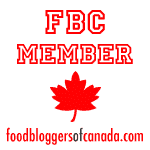 Ok, here we go again….What can I use INSTEAD of oat flour? I don’t even no where to begin looking for it! I have Millet, Sorghum, white and brown rice, chick pea but no oat!! I am really excited to make these. Alice, I buy gf oats and grind them in my food processor. If you are in the US, you can get them at Trader Joe’s or Bob’s Red Mill is available in most grocery stores. I can’t wait to try this recipe. I love the flavor from oat flour. Thanks, again for coming up with wonderful recipes. These look awesome! I’ll be making these soon! We have been busy outside too, warm weather doesn’t last long here in Canada, so we like yourself spend every minute outside… we had 100 Celsius here yesterday! Beach day today! Have a great weekend Jeanine, HUGS! I made these yesterday and they are awesome Jeanine, thank-you so much for another fantastic recipe!! These look like a fun project to have my kids make. Your recipe looks a lot healthier than the Udi’s buns they eat. These look amazing! I can’t wait to try them. I’m tired of paying high prices for buns or going “bunless.” Thanks for sharing! I am one of those who goes bunless rather than pay $5 for a bag of buns. I am excited to try your recipe. One question; when you call for dry milk powder, do you mean the really fine milk powder or the granular instant milk? 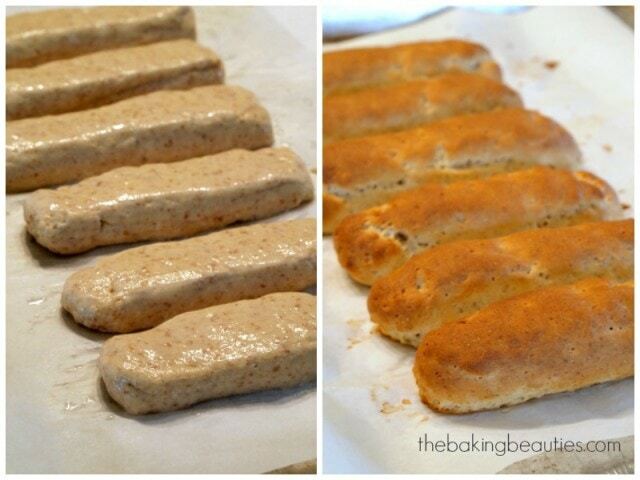 My hubby has been hounding me to try to make hot dog buns.. . .I bet he’d love these! I just made these hot dog buns. They turned out great! I’m so excited, now my husband can have hot dogs and brauts at picnics like everyone else. They taste great. Thank you! These buns look great! I’ve made my own a couple of times, but I like that this is GF. My MIl is trying to go GF and maybe if I make these for her she will have a little easier time. Thanks! Have you ever thought about using ground chia/golden flaxseed mixed in boiling water as a binder instead of the xanthan gum? The gums leave breads sticky and gooey but the above does the same without the unpleasant texture. Plus it is way healthier than using the gums that here recently have been found to also cause issues. Your recipe sounds like it would be great. Minus the honey and gums. You can also use psyllium husks instead of xanthum gum. Just substitute amount for amount. I haven’t tried it, Diane, so I can’t say if it woudl work. Is there any replacement for the Oat oat flour? These are awesome!!!! I’ve made them a couple of times with great success. My kids are so excited. What is the possibility of making this into a sandwich loaf? I forgot to rate the recipe. It gets 5 starts at least!!!! Aw, thanks so much, Joanna! I’m so glad to hear that your family, including the kids, are enjoying these buns. I’ve never tried it as a loaf, but it’s definitely worth experimenting! If you do try it, please let me know how it worked as a loaf! This recipe has become my “go to” for hamburger or sandwich buns. I love the taste and texture. I freeze a bag of these, then microwave and slice as needed, butter and place on a cast iron pan for browning. I had one today and could not get over how wonderful the taste was. I no longer feel deprived! Thank you so much. Dairy-free milk should work without a problem. I’m new to GF baking and eating and was excited to try this recipe. But my dough was very runny and really spread out on the pan, and even after rising they’re barely 1/2 inch high – looks nothing like your picture. My yeast was fresh, and I followed recipe exactly, except that I used white vinegar instead of cider vinegar. Any ideas? Thanks! It almost sounds like you were missing the xanthan gum? I’ve had that happen to me before, and it makes a huge difference. 🙁 Did you measure by weight or volume? That can make a difference too. The dough should be very soft, but not soft enough to run. Hi Lori,I know there is dairy free milk powders available, so that’s an option, but I would probably sub with almond meal. You can eliminate it, but it does help give the bread good texture and colour. Hope this helps! Just made this, and the buns were SO FANTASTIC!!!! Can’t thank you enough for this recipe. My daughter and I thought we were never going to have hamburgers (with buns) ever again. We had hamburgers for 3 days in a row because this bread was so good. We cut the buns in half, buttered them and toasted in a skillet before adding our hamburgers, amazing! I’ve been cooking/baking for 33 years and have never left a review for a recipe, but could not help myself with this one. Again, thank you, thank you! Forgot to rate the recipe, 5 stars and also say that i didn’t have dry milk powder, so did as you suggested, and used almond meal instead, worked beautifully. I made these this morning, for my normal hot-dog-on-Friday ritual. I wish I had been able to grind my oats to a more fine texture. I think that was one obstacle. I did use almond milk in place of the milk listed. I don’t think that affected anything. One question though – I have really grown to dislike the taste of ground flaxseed in baked goods (still sprinkle in my yogurt though). If I cut it back to 1 T, should I increase to 3 eggs? Or has anyone else tried other alternatives to that ground flaxseed? I will have a learning curve to shape these, but managed ok enough to actually put my hot dog on it today. Score! I ended up with 8 buns – a little on the smallish side, and didn’t rise at all in the 30 min rise time, but still turned out fairly ok after baking. I also want to add some Italian seasonings or garlic powder or something. Any other suggestions are welcome too. Hi, is there a good substitute to use instead of eggs? I am allergic to eggs along with the gluten and dairy. This looks like a fantastic recipe that I would love to try! Great recipe! I found this when I was looking for a GF hot dog bun recipe for my hot dog pan (I think they call it New England style hot dog buns). Its been my experience that the proper pan helps with gluten free baking. If by chance you’re trying to do the same thing, you may be interested in my adjustments. I doubled the recipe and also made some hamburger buns in a special pan that makes 4 inch mini pies or buns. I put the dough in the hot dog pan and with held 215 g. Next time I would with hold more – 325 to 430 g. Each burger bun was about 108 g. and turned out great!! The hot dog buns could have been a little lighter, I noticed that when I tasted the hamburger buns. You’ve got an excellent dough that seems great for free form. But I want to emphasize that the flavor is fantastic!! Thanks, Jackie. I’ve made this recipe NUMEROUS times already, and I realize that I need to make sure I have enough liquid added. If you’re a little light on the liquid, and the dough isn’t quite wet enough, the texture of the buns will change. But as long as it’s soft enough (a bit on the sticky side), you’ll get great, soft buns. I’ve never heard of that pan before though, I’ll have to google it. 🙂 Thanks! I made this twice now. Once into hotdog buns and today into hamburger buns. I ended up making my hotdog buns too large, but live and learn. I will certainly be trying the hotdog buns again. For the hamburger buns, I have a muffin top pan and use this to make 6 perfect size buns. Muffin top pan is what I use for my hamburger buns too. 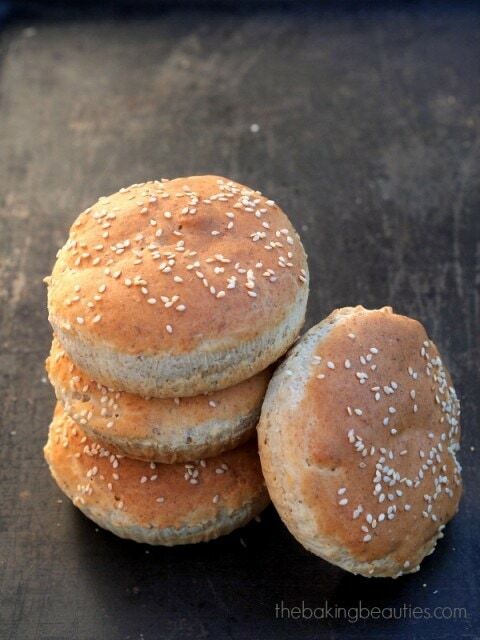 I have been making these hamburger buns for months now and they have worked every time. All of a sudden the last three times they are now working properly. They rise like mushroom clouds, they don’t bake all the way through and they sink. I am so puzzled, I have not changed any ingredients and my yeast is still good. Any ideas? Hi Joy – I wish i knew the answer. One thing – did you replace any of your other flours lately? Are your other baked goods still working? I had a batch of tapioca starch once that made everything not turn out, and since it was the only thing that had changed, I swapped it out with new stuff, and it worked again. Another thing – you may need to add a few extra tablespoons of milk – I’ve found that if I have the dough a little too stiff, it won’t rise. I add enough milk that the dough is quite wet and soft, and get lofty buns every time. HTH! Hi, these look delicious but I can’t have oats. Can I substitute sorghum flour? I would really like to try this recipe! Thanks! Hi Nancy, I haven’t tried it using anything other than the oat flour, because that gives it such a great texture. You’re welcome to experiment with either sorghum or millet flour though. If you do, please let me know how it worked for you! I was wondering what I could substitute for the milk powder? Hi Danica! You can either sub with almond flour, or even omit it. It’ll still work, just maybe not be quite as moist. But when I’ve been in a bind, I’ve omitted it without a problem. These buns taste great. I used jumbo muffin cup papers to make the hamburger buns. After I put the dough in the paper it spread out to the perfect size. Cheap and easy. Clean up is a breeze. Hi Jeanine, I made this recipe today and it was delicious but my buns did not rise much like the others. Now I used dry active yeast which did foam in the proofing. The mixture was a bit stiff and taking into account your prior comment about it needing water to be fluffy, I added about 2 tablespoons more but it still did not rise. Would you be willing to retest this one for us as many seem to be having the same issues. Perhaps this recipe requires instant yeast alone to work. That’s really strange, because it should work no matter which yeast you use. For the time being, I’m sticking with using instant yeast, it’s just easier to use for me. Hi, this is a great recipe! We are dairy free as well, so I make these using coconut milk and coconut cream powder in place of the milk powder. Works great! So glad to hear that, Jasmine! Thanks for sharing your substitutions to make them dairy free, I appreciate that! Hi Jeanine, I and my family liked the buns so much that I decided to double the recipe and make bread. I did use two tablespoons of chia seeds and one teaspoon of psyllium instead of the xanthan gum in the doubled recipe, but those were the only changes. Results: Your recipe is ABSOLUTELY AMAZING! Thank you, thank you. I have been baking gluten free bread for about three years, trying recipes, changing recipes, doing the extra collar around the top and so on. I have had a lot of successes, but I have also had a lot of small and even big holes in loaves, leaking over the sides of the loaf pan loaves and small loaves. I have made this bread twice now and it is perfect. The fantastic thing is that it rises— well above the top of the pan so one has properly sized sandwich slices. I do use a 9″x4″ bread pan, but then, I have always used this size pan for gluten free bread. The sides are just a little taller than a regular bread pan as well. So, again, Thank you. Keep up the good work. YEAH!! (Happy Dance) So glad to hear that it works well as a bread, that I haven’t tried yet! People should never take a normal sized sandwich for granted – us who have to eat gluten-free know about the mini sandwiches. 🙂 Thanks so much for sharing what you’ve done and the changes you made! Next time I need a loaf, I’m going to give that a try! 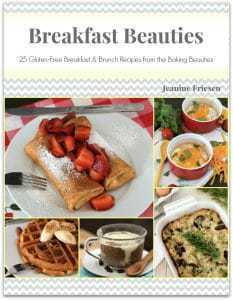 Jeanine, I am from the USA and recently figured out that I have some allergy to wheat, and I was so happy when I found your blog.I really enjoy your post and have made your buttermilk biscuits and now I will have to put my hands to work at making these buns. You are a great baker! Thank you for your recipes. This recipe made THE BEST gf burger buns I have ever had! Light texture just perfection- doubling the batch next time- so moreish! Im trying this recipe very soon, but I ve got a question.Is the ground flax seed used as a sub for eggs here? Could I use egg instead? Thank you for your wonderful recipe. Made this recipe and doubled it to exact recipe. It came out soupy. I added a half of cup more or oat flour, 1/4 of potato starch and 1/4 of tapioca. Still soupy/ But being I have a hot dog bun pan I baked it. Cooked up nice, but I found extremely gritty and flavorless. I have no clue why others think its great. So very Sorry. Sue, I’m sorry it didn’t turn out for you. I promise that if you followed the recipe exactly, it would not have been a soupy mess. Errors are made at times, and it sounds like one was made here, I’m guessing you forgot the xanthan gum. I’ve done it before, and that makes things have a completely different texture. Just made these this morning and they turned out incredibly!! Thank you so much for this super easy and delicious recipe. My kids (5 and 2) wanted to eat the whole batch. We’re in love and I think I will make them as buns for sandwiches every week. Crazy question – my daughter, a registered dietitian, said to avoid over processed meats, such as hot dogs. I’ve missed them so much, do you use special hot dogs? If so, what kind/brand, etc. Very good! Perfect in fact! I’ll be keeping this recipe. I tried many but this one is the best! Thanks Jeanine ! I can’t believe how good these buns are! Better than any gf product I have had. The recipe worked perfectly with no adjustments at all. Thank you for sharing. I couldn’t find tapioca starch but learned that tapioca flour is the same thing. And just a note, this is not true for potatoe starch and potatoes flour, two totally different things. Thanks again, I love this recipe. I just wanted to leave a comment about these buns. I love this recipe and have had it for years. Today, I made it again after a long time, and was reminded again of how good it is. Thank you so much for the recipe that has become a tried and true favorite for me. (Because I’m gluten-free, the whole family gets the privilege of eating gluten-free when I bake. They like it, too!). When I put up a post about the fact that I made these buns today, I will be sure and head them your direction for the recipe!